When we put the photos onto the website we realised that it looked as if we only made bread, sweets and alcohol. To show what balanced diets we have we thought we should include a cake. Black Forest Gateau was originally trendy in the 1980s. For many years it was sneered at, along with Prawn Cocktail and Grilled Grapefruit, but is now enjoying a well-deserved revival. There are two versions, one for when you can get fresh cherries and one for the rest of the year so you can enjoy it at any time. You can use any cherries; morellos have a sharper taste, but compliment the chocolate very well. Sift the flour, baking powder and cocoa into a large bowl. Add the butter, sugar and eggs. Mix roughly with a fork so the flour doesn’t fly everywhere and then mix with an electric hand whisk, moving the whisk so you get as much air as possible into the mixture. You can mix it in a processor but the cake may not rise well as you won’t get as much air into the mixture. Add 1 or 2 tablespoons of warm water so the mixture plops off a spoon. Divide between the two tins and bake in the middle of the oven for about 40 minutes until a skewer comes cleanly out of the centre. Leave to cool for a minute or two, then run a knife round the edge and turn the cakes out onto a wire rack, removing the paper from the base. 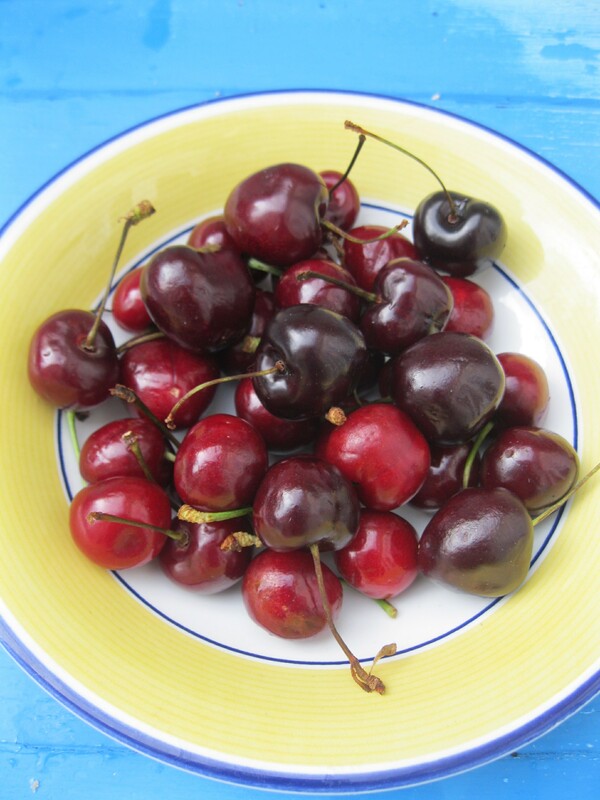 Put the cherries, sugar and kirsch into a small saucepan and simmer until the cherries are soft. Leave to cool. Or mix the conserve with the kirsch. Whip the cream so it forms soft peaks. Grate the chocolate, using a peeler so you get bigger shavings. Level the top of one cake and then cut each cake in half horizontally. Spread fruit and cream on each layer and pile them up.